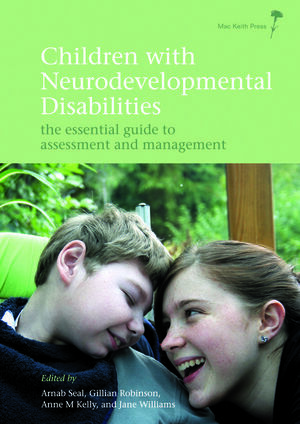 A comprehensive textbook on the practice of paediatric neurodisability, written by practitioners and experts. Using a problem-oriented approach, the authors give best-practice guidance, and centre on the needs of the child and family, working in partnership with multi-disciplinary, multi-agency teams. Drawing on evidence-based practice to provide a ready reference for managing common problems encountered in practice. Chapters open with real life clinical case scenarios and lead onto a problem-based approach. The book covers the practicalities of assessment, management and care of children with a wide range of disabling conditions and also provides tools and templates for practising paediatricians. The text is illustrated with clear tables, figures, diagrams and flow charts to enable easy referencing. Each section has guidance on further reading, useful websites and other information useful for families. Paediatricians (trainees in community and neurodisability paediatrics; consultants in community and general paediatrics. Other professionals working with disabled children, young people and their families. Dr Arnab Seal (MD, DCH, DNB (India), FRCPH) is a Consultant Paediatrician currently working in Leeds, UK, practising general and community paediatrics. Dr Gillian Robinson (MB, ChB, MRCPCH, MMedSc) is a Consultant Community Paedatrician working in Leeds, both in neurodisability and child protection. Dr Anne M Kelly (MB BS, MRCPCH, DCH, MMed Sci) is a Consultant Paediatrician working in Leeds, and has worked both in acute and community paediatrics and is currently focusing on neurodisability and child protection. Dr Jane Williams (MB BS DCH MRCP FRCPCH), is a Consultant Paediatrician working in community, child development centre and hospital settings. Chair of BACD 2007-2010, and member of NICE Guideline Development Group on managing spasticity (2012).